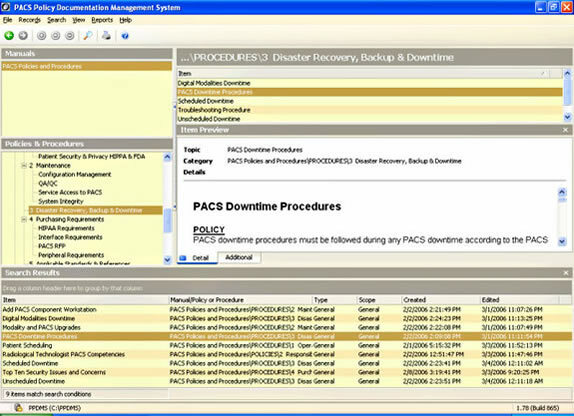 PACS or Picture Archiving and Communication System is a software technology used by medical practitioners in clinics and hospitals to store medical images. With PACS, they can also conveniently access these images with the use of different source machine. PACS has a universal format in storing and transferring stored images and it is called DICOM or Digital Imaging and Communication in Medicine. Why Healthcare Facilities Should Use PACS? Using PACS has a lot of benefits for medical facilities especially in terms of keeping medical images and film archives. With PACS, it eliminates the need for printouts and hard copies, minimizing the use of papers. The use of PACS also promotes off-site viewing and reporting among doctors and health professionals. For example, in an online seminar, the speaker can show images to everyone through PACS and can even give them access to it. With the use of PACS, radiology images are now easier access by HIS and EMR or RIS among other medical automation systems. PACS support the electronic image integration among different platforms to make it easier for practitioners to view and study images even from different hospitals around from different cities. Lastly, PACS can help radiology personnel to evaluate and manage the workflow of a patient’s exam. In fact, medical practitioners such as radiologists, diagnostician, referring doctor, the patient, and the clinic or hospital can benefit from using PACS. There are different brands and providers of PACS software and if you are about to pick one, you should consider a few factors to ensure that you will be receiving a good PACS program. Providers of PACS medical imaging software should be able to assist you in concluding your manual process of storing medical images as you switch to their PACS software. In addition, you should also pick a PACS provider that will help you understand the feature of their PACS program, how to operate it and how to take advantage of is features. They should willingly show a demonstration on how it works and should be able to answer all of your questions. Lastly, make sure that the PACS you are picking can secure your content and only allows people with the right access to view sensitive information.